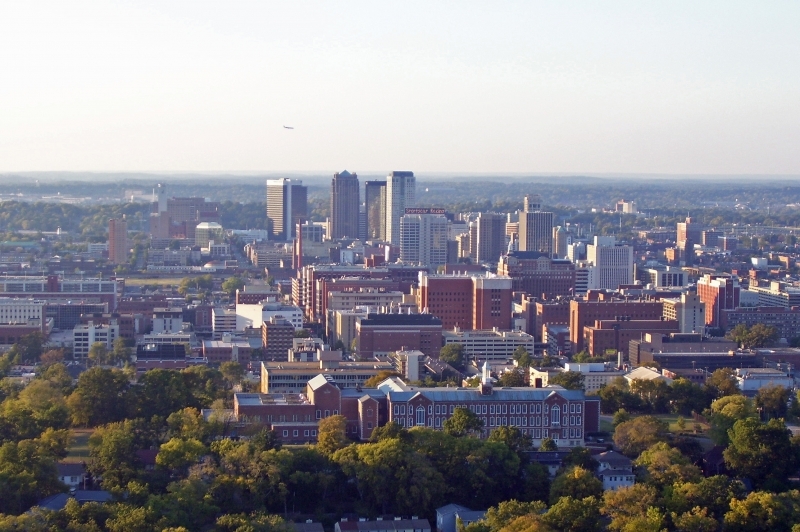 The Birmingham-Hoover, AL Metro Area, commonly called Greater Birmingham, encompasses a 7 county in central Alabama. In comparison to other metros, the Birmingham metro overall is relatively less densely populated, averaging around 214 people per square mile. Traditionally known in its earliest days as one of the most important industrial hubs in the Deep South, focusing on iron, steel and the railways, the metro area now is increasingly becoming the home of Asian nationalities. Though their populations are still relatively small, many of the people groups maintain their unique socio-cultural identity by forming local ethnic associations. 2000-2010 saw a 75.7% Asian - Pacific Islander and a 161.4% Hispanic increase. 53.4% of Asians born in the United States speak a language at home other than English, 83.2% of Asians born outside the United States speak a language at home other than English. 70.2% of all Foreign Born are from an Asian ethnicity or nationality. 2.2% of population born in the United States speak a language at home other then English. 39.2% of foreign born population speak a language at home other than English. The Birmingham-Hoover Metro Area is nestled in a strong Greek, Russian, and Afro-American heritage. Though these past heritages continue to hold annual festivals, events and exert an influence, the more recent influences to the area have come in terms of Asian nationalities. As a result, Islamic mosques, Buddhist temples, Hindu temples, and even a Sikh temple are regular places for these new Asian nationalities to visit. In addition, one can easily find the various Asian nationalities in the many ethnic restaurants and businesses scattered throughout the Metropolitan area. A few ethno-linguistic people groups now calling the Birmingham-Hoover Metro Area their home are: Mandarin speaking Chinese, Vietnamese, Northern Yemeni, and several different South Asian Indian people groups. Displaying 26-27 of 27 results. Birmingham Chinese Festival Association - a listing, explanation, plus activities being held during the various Chinese festivals held throughout the Metro Area. Alabama Asian Foundation - a Facebook page providing recent events and news from a vast array of Asian ethnic groups.